About Anthony Aquan-Assee – ANTHONY AQUAN-ASSEE, M.Ed., B.Ed., B.Sc. 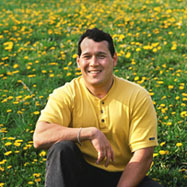 ANTHONY IS AN EDUCATOR, AUTHOR, MOTIVATIONAL SPEAKER AND An AUTHORITY ON BRAIN INJURY RECOVERY AND REHABILITATION. For the past 2 decades, thousands of people have been amazed and inspired at Anthony’s motivational presentations. In his presentations, Anthony has shared the keys for his successful recovery after sustaining a severe Traumatic Brain Injury following a horrific motorcycle accident. After his accident, Anthony remained lifeless in a coma for more than two weeks which led the top surgeons and doctors at a leading trauma hospital to declare Anthony “Brain Dead” and suggest to his parents to have him removed from the life support system that was keeping him alive. Anthony emerged from his coma to become an authority on Brain Injury recovery and rehabilitation. Author of four very popular books, including the Eric Hoffer Award winning books, “Second Life, Second Chance” and “Vendeka’s Creed”, Anthony has motivated and inspired thousands of people across Canada and the USA through his presentations. Anthony knows what it takes to recover from a severe Traumatic Brain Injury and other major trauma to the body and walk out of the hospital ready to take on any challenge. For the past twenty years, Anthony has volunteered in the very place where he was given the gift of a Second Life and a Second Chance – The Neuro-Trauma Intensive Care Unit at St. Michael’s Hospital. Anthony has touched the lives of thousands of people with his books, his presentations and his volunteer work. 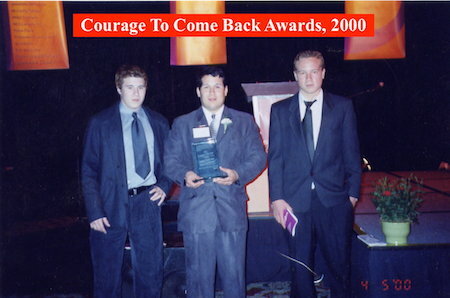 In the year 2000, Anthony received the prestigious Courage To Come Back Award from The Centre for Addictions and Mental Health in Toronto. He received this award for his courage to face the adversities in his life as a result of his accident, and his devotion to his volunteer work. Whether it be at the front of a class or on stage in front of hundreds of people, Anthony’s message is powerful and will motivate, inspire and empower his audience. For the past 22 years, Anthony has worked as an elementary school teacher in Toronto. He is also very passionate about natural health care, so he works as an independent consultant teaching people about the health benefits of using various Alternative Treatments. He has also written 4 books and given many motivational and educational presentations that received rave reviews across Canada and the USA. Anthony has shared the stage with some of the best doctors in North America as well as with internationally renowned speakers and authors such as Dr. Wayne Dyer. When he’s not educating or delivering his message of hope, Anthony is exercising his brain and body to maintain his overall health. Journey with him and you will learn to create a ‘mindset of hope’ and awaken the healing capacity in your brain and body. In 1997 Anthony was training to make the Canadian Olympic Judo team to compete in the 2000 Olympics in Sydney, Australia. On his way to coach his school’s football team he sustained a severe Traumatic Brain Injury as well as many other life threatening injuries as a result of a horrific motorcycle accident. At the scene of the accident, Anthony had stopped breathing and did not have any vital signs. Anthony underwent numerous life saving surgeries including Neurosurgery, Open Heart surgery, Lung surgery, General surgery, Vascular surgery, Orthopedic surgery, and Plastic surgery but was not expected to live. Anthony lay in a deep coma for 2 weeks and spent one year in various hospitals. After having over 10 major surgeries, Anthony’s miraculous survival and unbelievable recovery has astonished the medical experts. His story is referred to as the Miracle at St. Michael’s because he Survived the ICU. Then in 2013, Anthony sustained TWO MORE TRAUMATIC BRAIN INJURIES while at school and was forced to ‘Start Over‘ again. Anthony’s rehabilitation and recovery using Alternative Treatments is an inspiring story that needs to be told. Anthony’s brain injury caused him to lose everything. He lost his memory, the ability to walk, talk, sleep, think and take care of himself. It took a herculean effort for him to relearn these skills and return to his pre-accident job as a Teacher. His relentless efforts, strong will, and his determination to use Alternative Treatments and persevere despite all odds shows the strength of the human spirit. In the year 2000, Anthony was awarded the Courage To Come Back Award from the Centre for Addiction and Mental Health in Toronto. This was awarded for his courage to face the adversities in his life, and his ability to use these challenges in a proactive way. 2014 – Award for 15 years of volunteer service in the Neuro-Trauma I.C.U at St. Michael’s hospital. This is where he was given the gift of a 2nd Life and a 2nd Chance. For the families that are there, his story gives them hope in the face of despair. Anthony will motivate and inspire everyone, by telling his story about climbing the ladder of life since the day of his accident. 2015 – Urban Hero Award winner from Metroland Media in the Health & Sciences Category. Anthony has currently written 4 books. His most recent book is “RETHINK, REDO, REWIRED: Using Alternative Treatments to Heal a Brain Injury“. 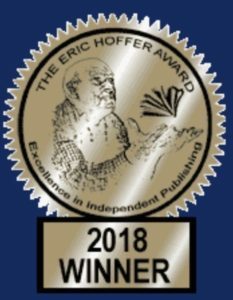 In 2018, Anthony’s 3rd book, “Vendeka’s Creed” won an award in the ‘2018 Eric Hoffer Book Awards’. This novel is a thrilling journey about Jesse’s life and the constant pressure he faces from the other kids at his school. Desperation, acceptance, and technology are all themes in this novel. In 2009, Anthony’s first book, “Second Life, Second Chance: A Teacher’s Chronicle of Despair, Recovery and Triumph” won an award in the ‘2009 Eric Hoffer Book Awards’. In this book Anthony shares the details of his recovery from a severe Traumatic Brain Injury. Doctors credit Anthony’s survival to the incredible physical shape that he was in. At the time of his accident, Anthony was a successful athlete and competed in boxing, free style wrestling, bodybuilding and judo. Not only was he an elementary school teacher but he also taught self-defence. 1982 – 1st Place in the Ontario Boxing Championships. 1983 – 1st Place in the Ontario Boxing Championships. (B.Eng.) degree. This is one of the most rigorous engineering programs in the world.